(Bills & O.K. Miller) Buyck & V. Hofst. 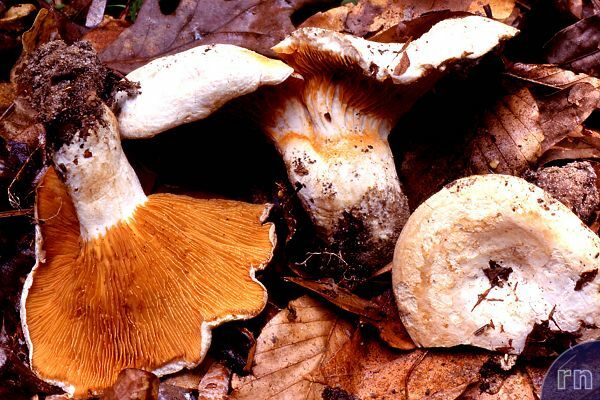 M. ochricompacta is an unmistakable species because it has so many outstanding features that it is impossible to confuse it with any other Russula. Some of its features, such as the regularly forked gills or the bright orange spore print, can actually mislead one to take it initially for another genus. Last update: 27/12/2010 - 1488790 visits (4032045 pages) since 09/01/2004.